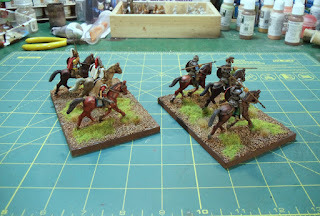 Just finished a group of two sets of figures. 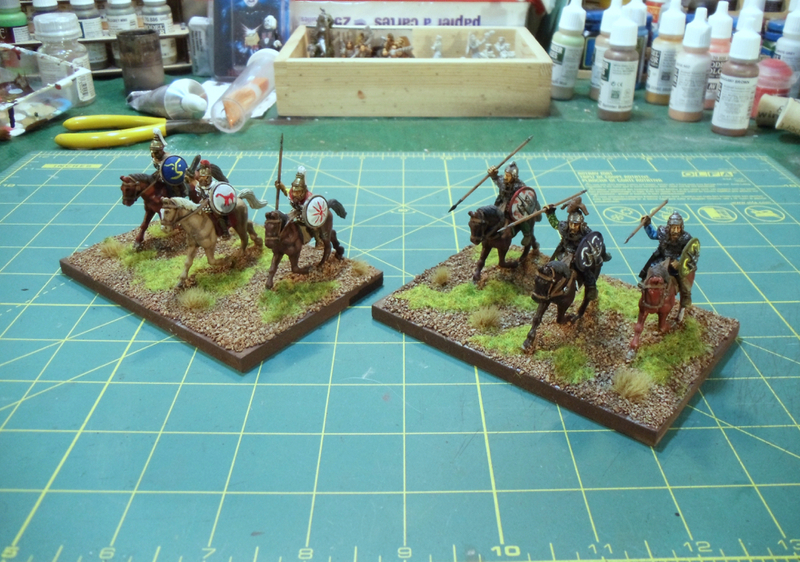 First group is two units of Carthaginian cavalry. These 28mm metal figures are from Renegade Miniatures. The base on the left are actual Carthaginians, whereas the one on right are Gauls in the service of Carthage. 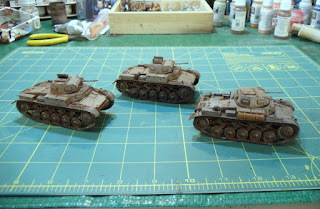 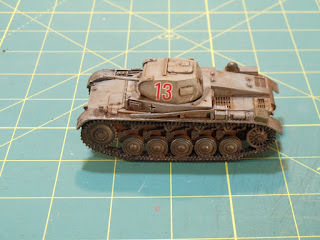 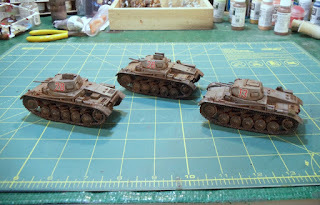 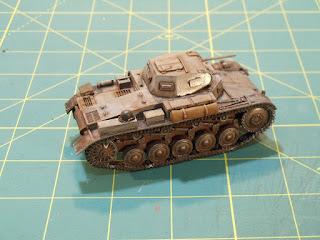 Next set of figures are a trio of World War II German Panzer IIs . These figures are from Warlord Games. Up next is probably some fantasy figures I started before last Christmas, followed by some more Carthaginians. 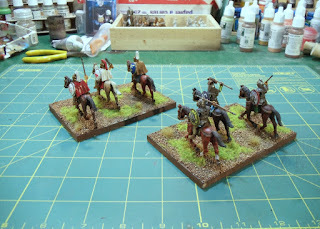 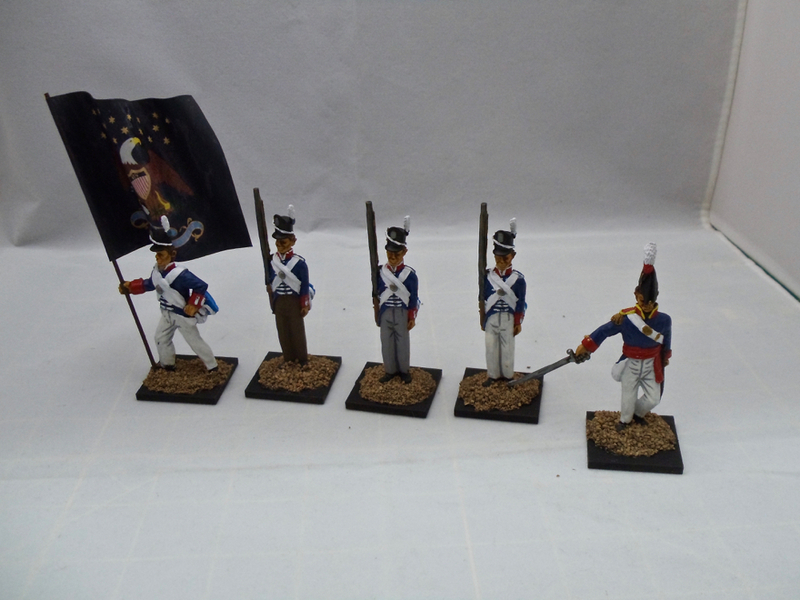 Recently I've finished an assortment of 28mm figures. They're a motley collection of early-war Germans and monsters for Frostgrave. 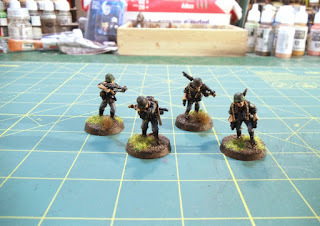 Starting with the Germans I have a pair of MG34 LMG teams. 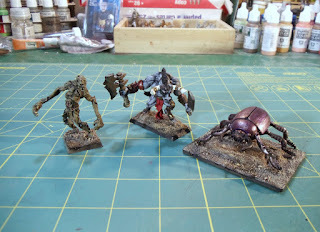 These figures are metal and are from Black Tree Design. 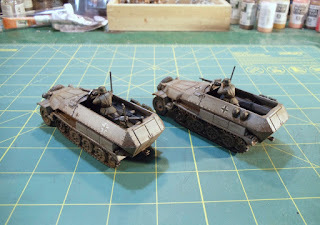 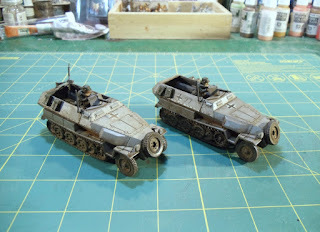 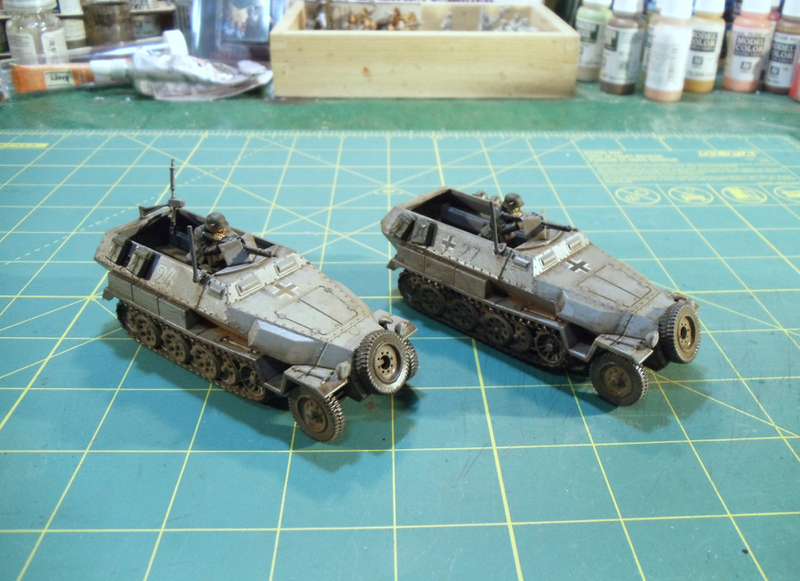 Next up is a pair of plastic Sd.Kfz 251/1 Hanomags from Warlord Games. 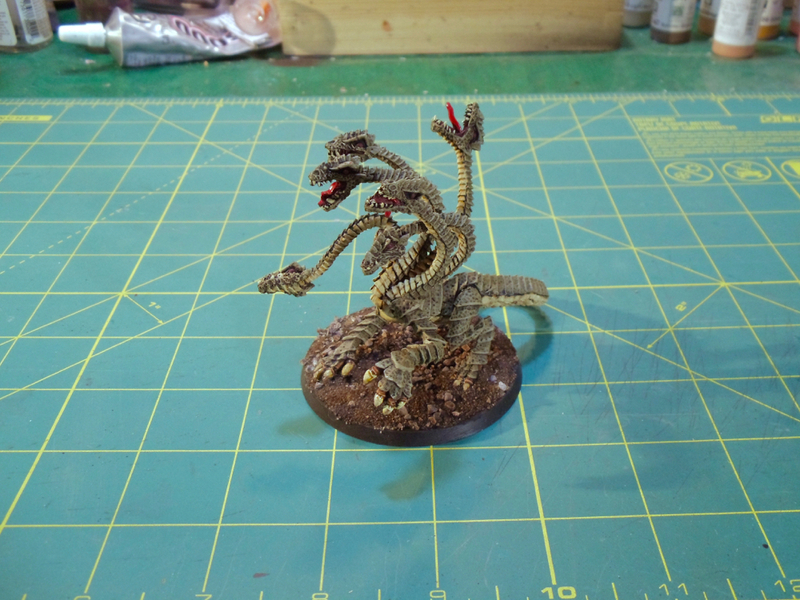 Onto the monsters. 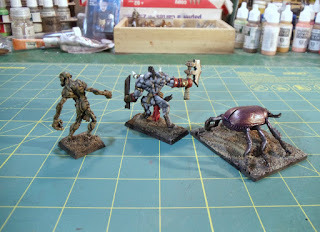 These figures are all metal and are from Reaper Miniatures. 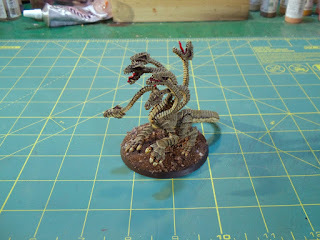 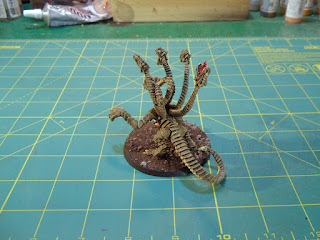 First up is a hydra. 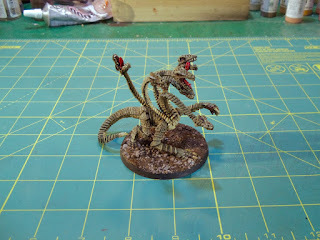 And finally is this group of three monsters. 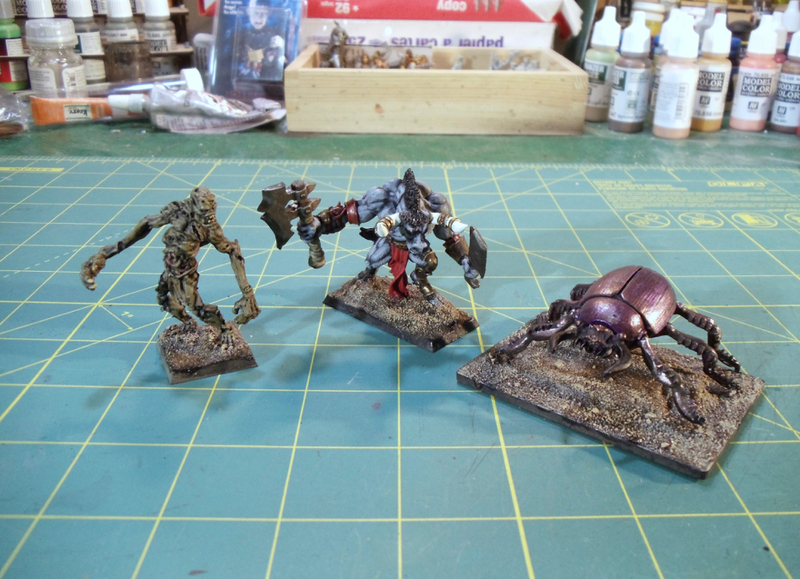 From left to right: Undead Troll, Cretus the Minotaur and a Giant Scarab Beetle. Next up will be some more Germans and I'm not sure what else. 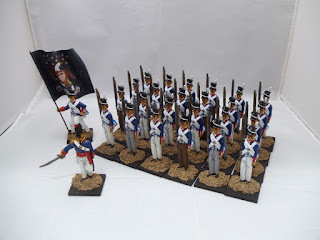 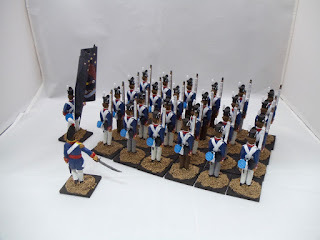 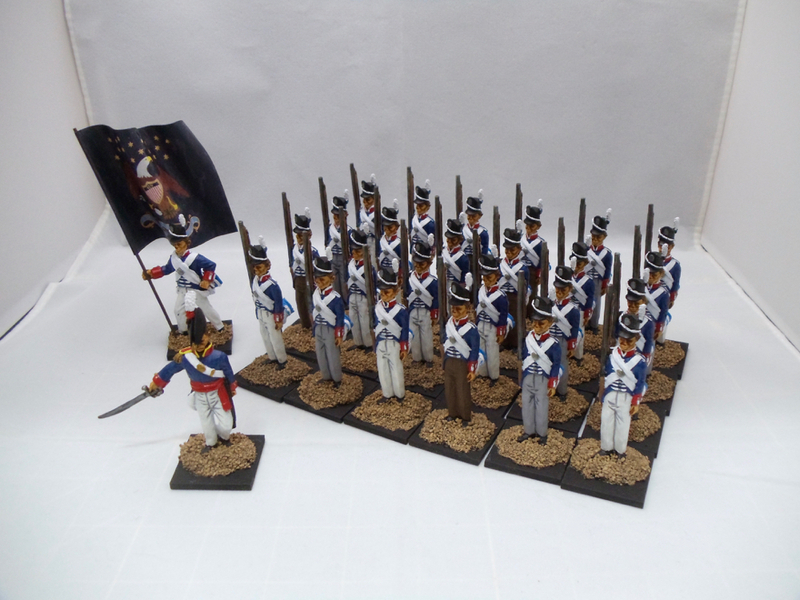 Recently I finished a large lot of U.S. Infantry. 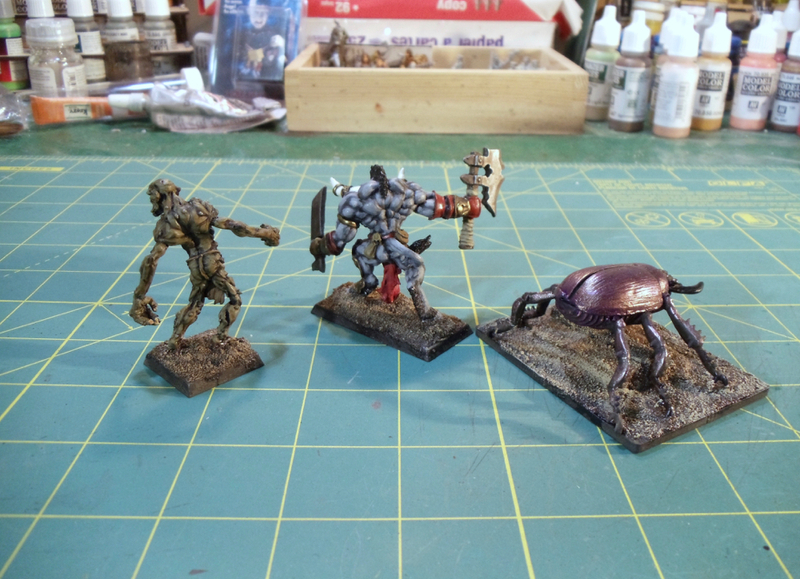 These hefty, all metal figs are from All The King's Men. 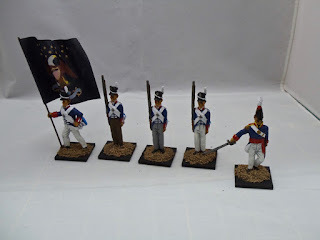 Tried something a little different with the flag as my previous flags looked like shite. 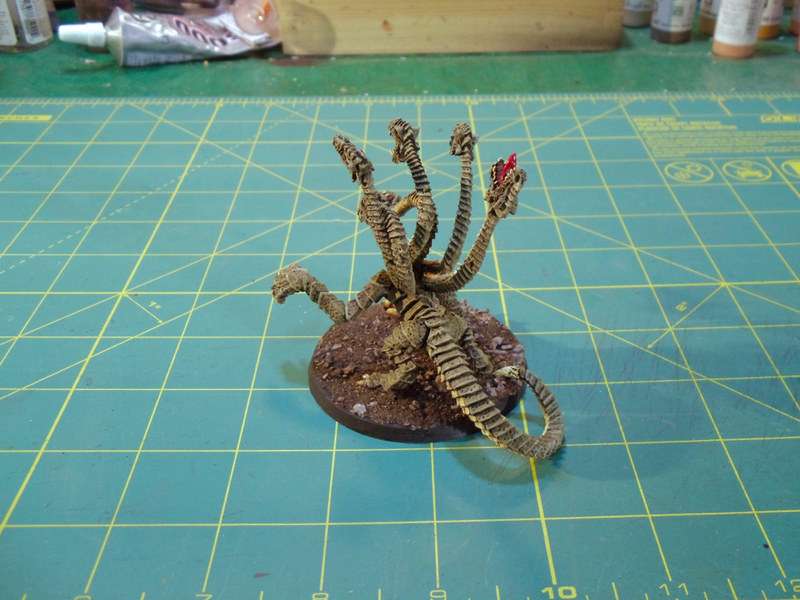 It turned out better than I thought it would. 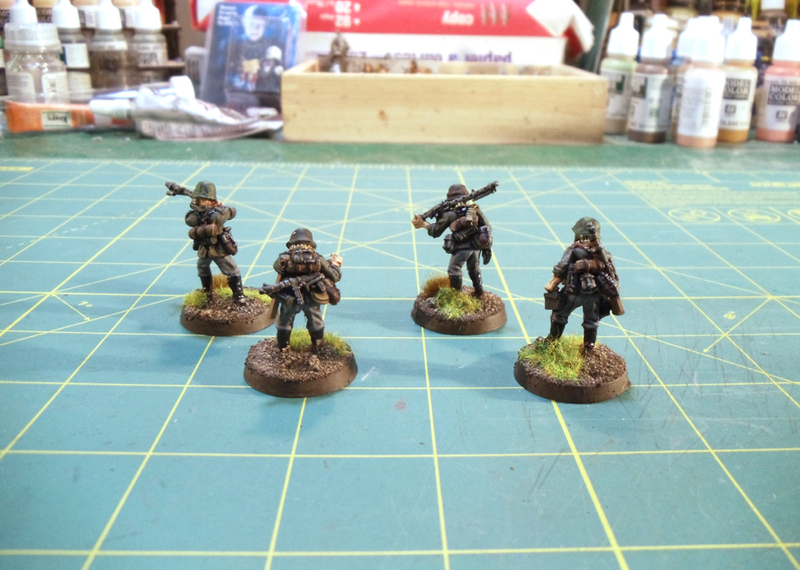 Up next will be a small number of fantasy figs probably followed by some Germans.